We at MACRO.CCS find ourselves increasingly using Skype as an interview tool. Granted, it can be rather buggy and choppy, but in the end it serves as a good tool for face-to-face time with candidates who live far from our offices in the greater Seattle, and Los Angeles, areas. However, during these interviews we’ve noticed that people don’t always prepare and present themselves as well as they should and thus decrease their chances of interview-success. Following is a discussion of what we’ve noticed, and how it can be improved upon to increase the likelihood of interview-success. The more preparation, the less buggy, and the more professional and successful your next Skype interview can be. Think of the room that you will interview from as a studio and prepare it to enable a positive impression. Ideally, use a well lit room with a door that you can close to gain privacy for your Skype studio. Ensure that everything in the room and within the camera’s field of view is necessary. E.g. remove clutter. Position the camera, don’t point into other rooms (read: bathroom, TV room, kitchen). Position the camera to capture you from the shoulders up. Ensure that the camera is located in a steady position. Since this is difficult with a cell phone camera, we recommend using a PC instead. Have a copy of your current resume close at hand to refer to. Have a tablet or pen and paper close at hand to take notes. Make sure that you have the latest version of Skype. Ensure that your Skype profile is dignified and professional – remember that your interviewer will see your profile. Test Skype, your camera and microphone with a friend. Request to connect with your interviewer a day in advance of the interview. This ensures that you can connect and you will have their user name on your dial list for an easy re-connect. 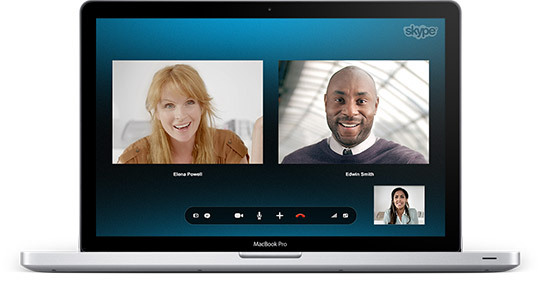 Ask if the interview will be a “conference” – note that some versions of Skype are not “conference” capable. Ask your interviewer for an alternate telephone number in advance of the interview. This may come in handy to continue an interview if Skype fails. Configure your PC to record the interview – review the recording and improve your interviewing skills as you can. Inform your housemates that you will be interviewing. Put animals in a kennel. Mute all cell phones and land-lines. Dressing appropriately subliminally reminds you that this is an interview. Dress as you would for an in-person interview. Your friends who told you to wear a suit jacket or shirt up top and PJ pants on bottom – are wrong. If for any reason you have to stand up, we don’t want to see you without pants. Act naturally, smile, use your hands and try to make eye contact with the person you are talking to. Don’t open other applications or websites while interviewing. If your IP bandwidth is minimal you will affect Skype performance. Make sure that you write down the names and contact information of all persons you interview with. Follow up with the persons you interviewed by US Mail with a thank you card.